My sunflowers are like the bug super highway. 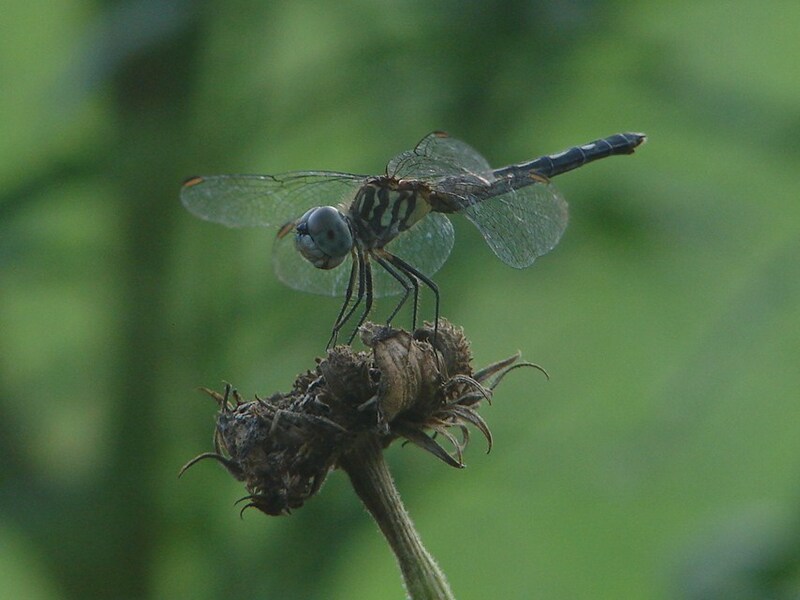 There are whole ecosystems on the undersides of the leaves. The bees are at the flowers pretty much non-stop and the ants are all over them as well. I make sure to use cation when touching the flowers. It has been a joy watching them grow. One of them (I only planted a few) is taller than I am! I love taking pictures of them. K started her job at the Montessori School. We have been adjusting to the early wake up time and the driving. It’s about an hour and fifteen minutes round trip. We do this in the morning and the afternoon. The boys end up napping when we go to pick her up, so it works out pretty good. I have been trying to take advantage of the trips and attend playdates, hit up the playground, etc. 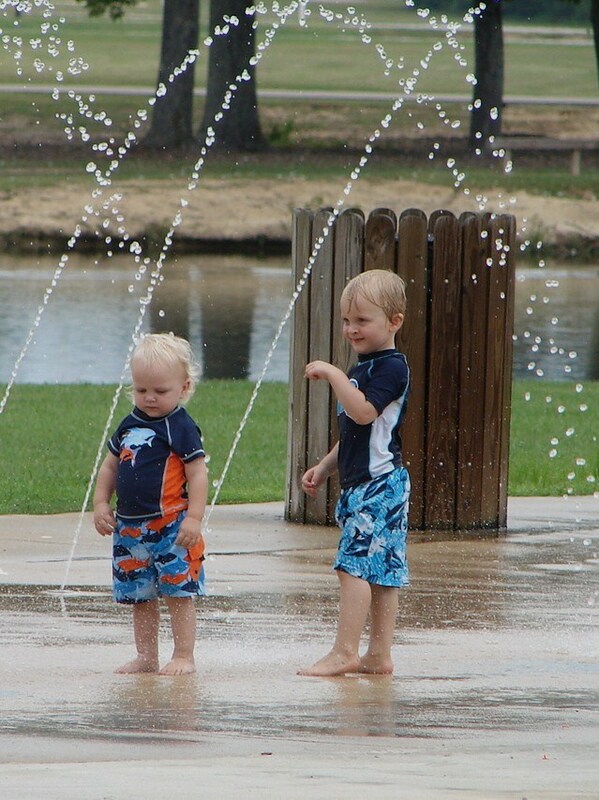 Yesterday we met up with some friends at the splash pad and played in the water for three hours. The boys had a blast and both crashed on the way home. We had a decent storm roll through on the way home yesterday. Just as we were getting into town it started pouring and the wind picked up. Visibility was low, everything was the same color gray. It was crazy. Luckily by the time we reached the house it had died down so we didn’t get drenched trying to get us all unloaded from the car. The animals were not happy though. Lily somehow got loose from her tie-out and was just running amuck. The goats were yelling at the top of their lungs. And, we were missing a chicken. 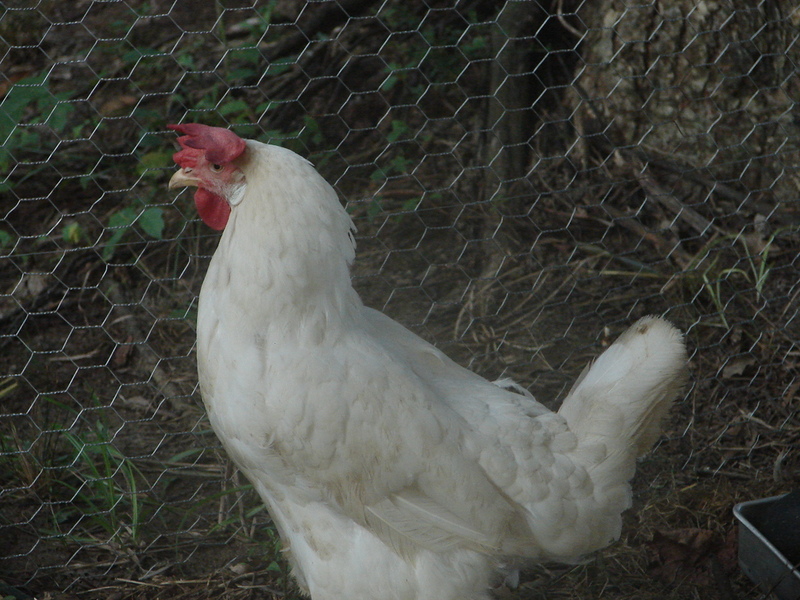 The White Leghorn, Franny. I searched everywhere and could not find her. Hubby went out later and looked too, but she was nowhere to be found. We did find her this evening. Unfortunately she was not alive. She was in a place Hubby and I had both looked already. We aren’t sure what happened. . .
Today I came to the realization that Ms. Rocky is actually Mr. Rocky. (“Chandler’s a girl!”, lol thanks K for that Friends memory). 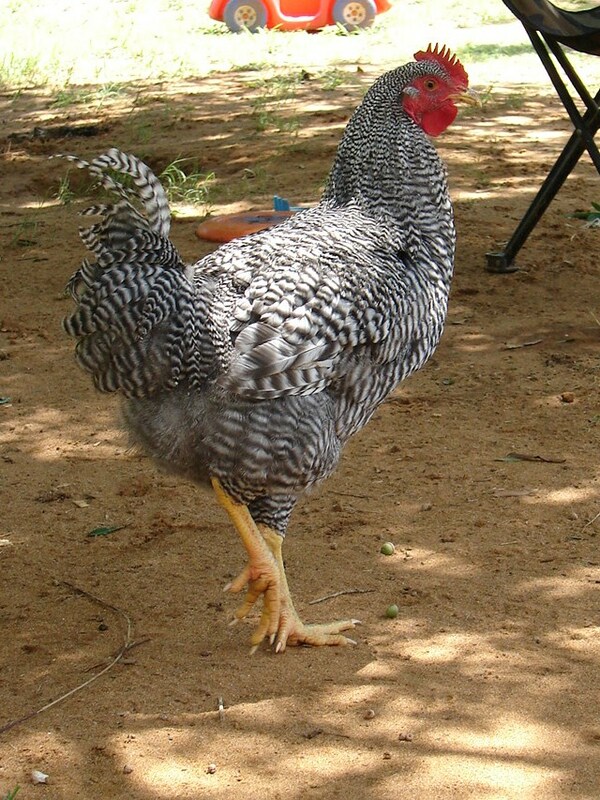 His tail feathers are starting to look long and curvy. He and Buffy have been puffing out their neck feathers and kicking their feet up at each other. So now I am starting to wonder about Buffy too. . . .The other morning when I was in the shed and all the chickens were still sitting on their roost (yes, they all now go up there on their own and stay there all night! ), someone crowed. I was feeding the goats so I had my back to them. I wasn’t sure who it was and if it was just a fluke. Guess not. I am excited to see the Perseids tonight. We should have clear skies here in North Mississippi. I love meteor showers. I have fond memories of sitting out in the wee hours wrapped in blankets watching in them. I tried to take Munchkin out before he went to bed to see if we could see any, but he is just entering the “scared” phase. So at every noise he was clinging to me asking “What’s that?” and “I’m scared”. Poor kid. I hope this doesn’t last too long. Munchkin keeps getting upset with the chickens because they keep running in and eating up the grasshoppers and crickets he is trying to catch. Sometimes it doesn’t bother him and others he comes running to me bawling. I feel bad, but at the same time it is funny. He has been “reading”, and cutting, and gluing. He can trace his letters and numbers very well and is starting to recognize his numbers. He is such a big boy. Peanut is turning into a little hellion. He is throwing food around more than eating it now. At least he puts his empty dishes in the sink. He will take things and then run off with them so that you chase after him. It is annoying when it is happening, but as I am typing this I am shaking my head and smiling. He had an episode the other night of what appears to have been “growing pains”. It was awful. He woke up the next morning perfectly fine. I was very relieved. As I am typing this out this post, I am listening to bump, thump, crunch as Isis, the cat, is walking around on the roof. I suppose I should go get her down.